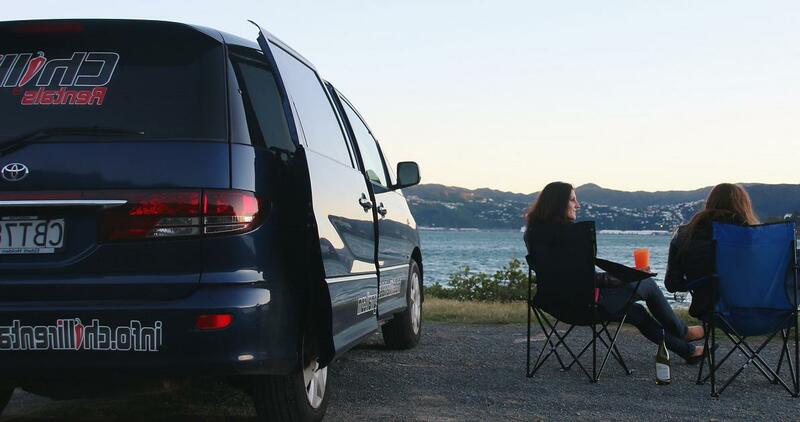 When you’re exploring New Zealand with a Chilli Rental car or campervan you don’t want to be stuck in hostels night after night – so why not try New Zealand Freedom Camping? Our fleet is equipped with a matress for sleeping and camping gear to give you as much flexibility and independence as possible when travelling through our beautiful country. Freedom Camping 2018 - tougher rules! But wait, unfortunately New Zealand freedom camping is not as easy and hassle-free as it used to be. If you get caught camping overnight in the wrong place you’re more than likely to be charged a $200 fine and could, in the worst case, even have your property seized and/or car impounded. So as great as it might feel to simply park up along a scenic beach or lakeside or in the middle of the bush – please make sure read the signs before you pack up for the night. Since New Zealand hosted the Rugby World Cup in 2011 the legislation on New Zealand freedom camping nationwide has changed. More restrictions have been imposed so that now a lot of areas are only open to freedom campers with self-contained motorhomes, meaning they have a toilet, shower and waste-disposal unit on board. For most backpackers and travellers that means that places to pitch up a tent overnight or park their campervan are limited. But don’t worry, we have put together a list for you with New Zealand Freedom Camping locations that are still ok to use for non-self-containted vehicles as well as tents. These campsites are either maintained by the local council or the Department of Conservation (DOC). Some are still free to use, others involve a small cost. For more information feel free to read the complete New Zealand Freedom Camping Act 2011. Which area are you interested in for New Zealand Freedom Camping? Cape Reinga – Spirit’s Bay Camping Cround (DOC): basic facilities, vehicles and tents, public toilet, water supply, shower. Cost <$10. No booking necessary. Karikari Peninsula – Maitai Bay Camping Ground (DOC): basic facilities, vehicles and tents, public toilet, water supply, shower. Cost <$10. No booking necessary. Kai Iwi Lakes Campsite: basic facilities, vehicles and tents, public toilet, water supply. Cost <$10. Booking required. Whangarei – Top 10 Holiday Park: powered and non-powered sites, vehicles and tents, public toilet, water supply, shower. Cost $11 to $20. Booking required. Ruakaka – Uretiti Beach Camping Ground (DOC): basic facilities, vehicles and tents, public toilet, water supply, shower. Cost <$10. No booking necessary. Mangere – Ambury Park Camping Ground: basic facilities, vehicles and tents, public toilet, water supply. Cost <$10. Booking required. Whatipu Caves Camping Ground: basic facilities, tents only (10 sites available), public toilet. Cost <$10. Booking required. Hunua Ranges – Adams Lookout Camping Ground: basic facilities, tents only (10 sites available), public toilet. Cost <$10. Booking required. Kauaeranga Valley: 5 DOC campgrounds with basic facilities, vehicles and tents, public toilet, water supply. Cost <$10. No booking necessary. Port Jackson Camping Ground (DOC): basic facilities, vehicles and tents, public toilet, water supply, shower. Cost <$10. No booking necessary. Otama Beach Camping Ground (DOC): basic facilities, vehicles and tents, public toilet, water supply. Cost <$10. Booking required. Ngaruawahia – Memorial Reserve: basic facilities, vehicles only, public toilet. Cost: FREE. No booking necessary. Lake Karapiro – Little Waipa Reserve: freedom camping, vehicles and tents, public toilet. Cost: FREE. No booking necessary. Marokopa Camping Ground: Holiday Park, vehicles and tents, public toilet, water supply, shower. Cost <$10. Booking required. Katikati Naturist Park (DOC): Holiday Park, vehicles and tents, public toilet, water supply, shower. Cost: $11 to $20. Booking required. McLaren Falls Camping Area: basic facilities, vehicles and tents, public toilet, water supply, shower. Cost <$10. No booking necessary. Te Rata Bay – Hot Water Beach Camping Ground (DOC): basic facilities, tents only (20 sites available), public toilet, water supply. Cost <$10. Booking required. Lake Tarawera Outlet Camping Ground (DOC): basic facilities, vehicles and tents, public toilet, water supply. Cost <$10. No booking necessary. Ohope Christian Camp: Holiday Park, vehicles and tents, powered sites, public toilet, water supply, shower. Cost <$10. Booking required. Te Araroa – East Cape Camping Site: basic facilities, vehicles and tents, public toilet, water supply. Cost <$10. No booking necessary. Waipiro Bay: 2 Freedom Camping sites, basic facilities, vehicles and tents, public toilet. Cost <$10. Booking required. Turihaua Beach: Freedom Camping site, basic facilities, vehicles and tents, public toilet. Cost <$10. Booking required. 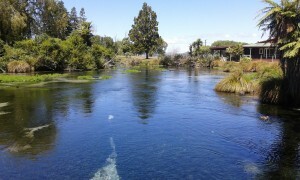 Taupo – Reids Farm Free Campsite: basic facilities, vehicles and tents, public toilet, water supply. Cost: FREE. No booking necessary. Tongariro Forest Conservation Area – Pokaka Mill Camping Ground (DOC): basic facilities, vehicles and tents, public toilet. Cost: FREE. No booking necessary. Pureroa Forest Park – Piropiro Camping Ground (DOC): basic facilities, vehicles and tents, public toilet, water supply. Cost <$10. No booking necessary. Whangamomona Domain Camping Ground: Holiday Park, vehicles and tents, powered sites, public toilet, water supply, shower. Cost <$10. Booking required. Ohawe Beach Camp: Holiday Park, vehicles and tents, powered sites, public toilet, water supply, shower. Cost <$10. Booking required. Patea Dam/Lake Rotorangi – Freedom Camping Ground: basic facilities, vehicles and tents, public toilet, water supply. Cost <$10. No booking necessary. Mount Lees Reserve: basic facilities, vehicles and tents, public toilet. Cost <$10. No booking necessary. Otaki – Waikawa Campground (DOC): basic facilities, vehicles and tents, public toilet, water supply. Cost: FREE. No booking necessary. Scotts Ferry Camping Ground: basic facilities, vehicles and tents, public toilet, water supply, shower. Cost <$10. No booking necessary. Mahia – Oraka Reserve: Freedom Camping site, basic facilities, vehicles only, public toilet. Cost: FREE. No booking necessary. Te Urewera National Park – Mimiha Campsite (DOC): basic facilities, vehicles and tents, public toilet, water supply. Cost: FREE. No booking necessary. Te Urewera National Park – Rosie Bay Camping Ground (DOC): basic facilities, vehicles and tents, public toilet, water supply. Cost: FREE. No booking necessary. Cape Palliser – Ngawi Camping Area: basic facilities, vehicles and tents, public toilet. Cost: FREE. No booking necessary. Te Awaiti Camping Area: basic facilities, vehicles and tents, public toilet. Cost: FREE. No booking necessary. Tararua Forest Park – Bucks Road Camping Ground (DOC): basic facilities, vehicles and tents, water supply, public toilet. Cost: FREE. No booking necessary. Kapiti Holiday Resort: Holiday Park, vehicles and tents, powered sites, water supply, shower, public toilet. Cost: $11 to $20. Booking required. Battle Hill Farm Forest Park: basic facilities, vehicles and tents, water supply, public toilet. Cost <$10. Booking required. Belmont Regional Park – Dry Creek Valley Camping: basic facilities, vehicles and tents, water supply, public toilet. Cost <$10. Booking required. Wellington – Owhiro Bay: Freedom Camping, basic facilities, vehicles only, public toilet. Cost: FREE. No booking necessary. For a complete list of New Zealand Freedom Camping locations please visit Rankers. Motueka – Kina Beach Reserve Camping Ground: basic facilities, vehicles and tents, water supply, public toilet. Cost <$10. No booking necessary. Anatori River Camping Ground: basic facilities, vehicles and tents, water supply, public toilet. Cost <$10. No booking necessary. Cobb River & Reservoir Camping Ground (DOC): basic facilities, vehicles and tents, water supply, public toilet. Cost: FREE. No booking necessary. Nelson Lakes National Park – Lake Rotoroa Camping Ground (DOC): basic facilities, vehicles and tents, water supply, public toilet. Cost <$10. No booking necessary. Wairau Flats – Onamalutu Camping Ground (DOC): basic facilities, vehicles and tents, water supply, public toilet. Cost <$10. No booking necessary. Wairau River – Kowhai Point Camping Ground (DOC): basic facilities, vehicles and tents, water supply, public toilet. Cost <$10. No booking necessary. Robin Hood Bay Camping Ground (DOC): basic facilities, vehicles and tents, water supply, public toilet. Cost: FREE. No booking necessary. Ngahere – Nelson Creek Camping Ground: basic facilities, vehicles and tents, water supply, public toilet. Cost <$10. No booking necessary. Lake Ianthe Matahi Camping Ground (DOC): basic facilities, vehicles and tents, water supply, public toilet. Cost <$10. No booking necessary. Gillespies Beach Camping Ground (DOC): basic facilities, vehicles and tents, water supply, public toilet. Cost <$10. No booking necessary. Okiwi Bay Scenic Reserve and Camping Ground (DOC): basic facilities, vehicles and tents, public toilet. Cost: FREE. No booking necessary. Ashley Forest – Grey River Camping Ground (DOC): basic facilities, vehicles and tents, water supply, public toilet. Cost: FREE. No booking necessary. Christchurch/Banks Peninsula – YMCA Wainui Park: Holiday Park, vehicles and tents, powered sites, shower, water supply, public toilet. Cost <$10. Booking required. Knottingley Park Motor Camp: Holiday Park, vehicles and tents, powered sites, shower, water supply, public toilet. Cost <$10. Booking required. 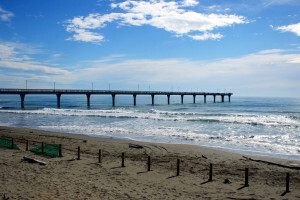 Oamaru – Campbells Bay Overnight Campervan Parking: basic facilities, vehicles only, public toilet. Cost: FREE. No booking necessary. Lake Ohau – Round Bush Campground (DOC): basic facilities, vehicles and tents, water supply, public toilet. Cost: FREE. No booking necessary. Warrington Reserve – Overnight Campervan Parking: Freedom Camping, basic facilities, vehicles and tents, public toilet. Cost: FREE. No booking necessary. Arrowtown – Macetown Camping Ground (DOC): basic facilities, vehicles and tents, water supply, public toilet. Cost: FREE. No booking necessary. Milford Road – various DOC Camping Grounds: basic facilities, vehicles and tents, water supply, public toilet. Cost <$10. No booking necessary. Lake Monowai Camping Ground (DOC): basic facilities, vehicles and tents, water supply, public toilet. Cost: FREE. No booking necessary. Catlins Coast – Purakaunui Bay Camping Ground (DOC): basic facilities, vehicles and tents, water supply, shower, public toilet. Cost <$10. No booking necessary. Clifden Historic Bridge Conservation Campsite: basic facilities, vehicles and tents, water supply, public toilet. Cost: FREE. No booking necessary. Hedgehope – Dunsdale Recreation Reserve and Camping Area: basic facilities, vehicles and tents, water supply, public toilet. Cost: FREE. No booking necessary. Stewart Island Backpackers: Holiday Park, vehicles and tents, powered sites, water supply, shower, public toilet. Cost: $11 to $20. Booking required. For a complete list of New Zealand Freedom Camping locations please visit Rankers New Zealand.